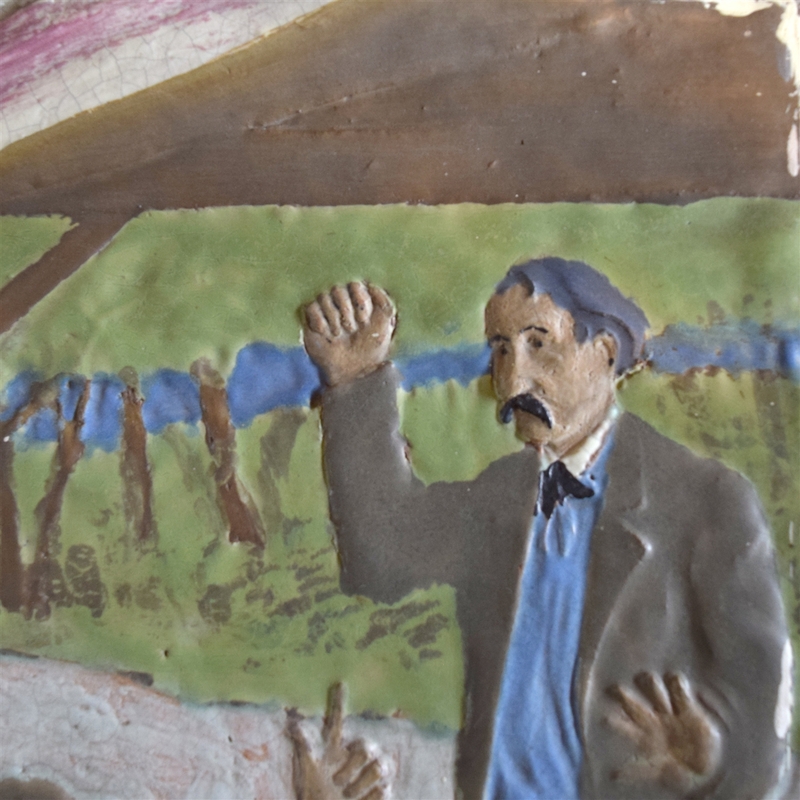 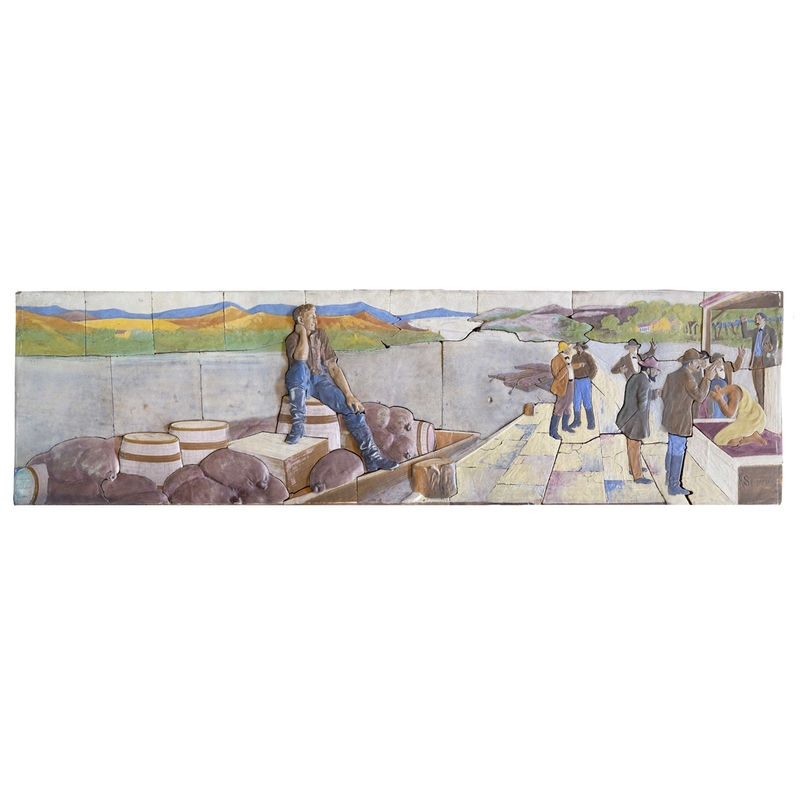 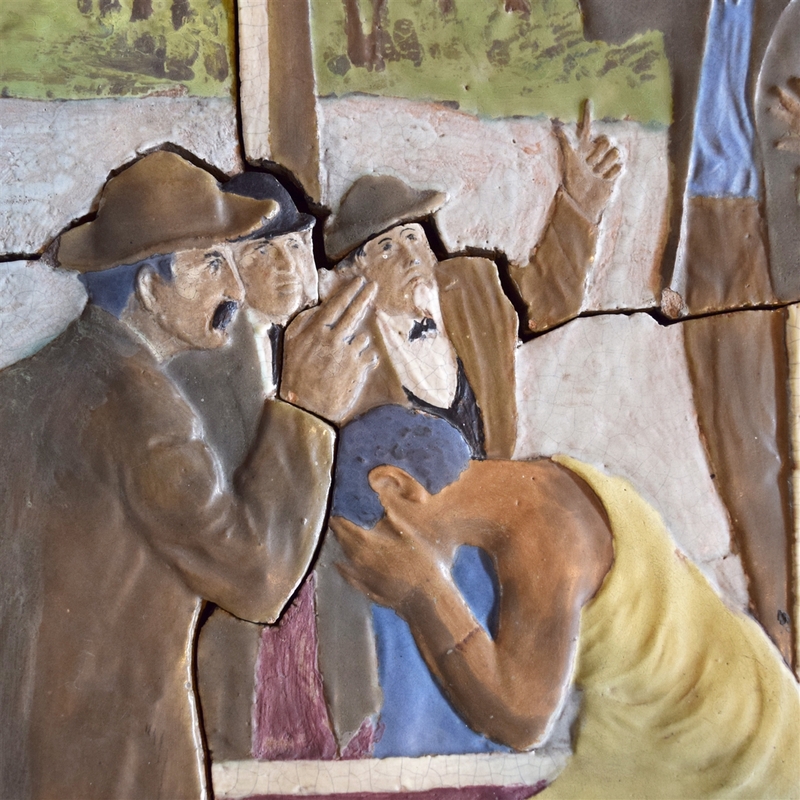 A one of a kind polychrome glazed terra cotta mosaic depicting a young Abraham Lincoln witnessing a slave auction. 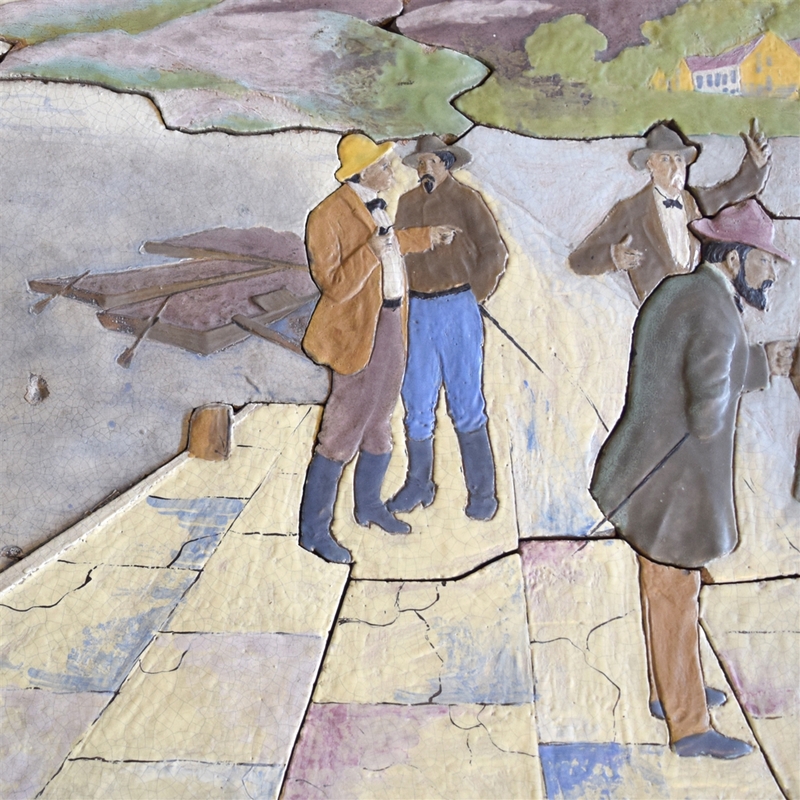 This incident is said to have been a monumental moment in Lincoln’s life. 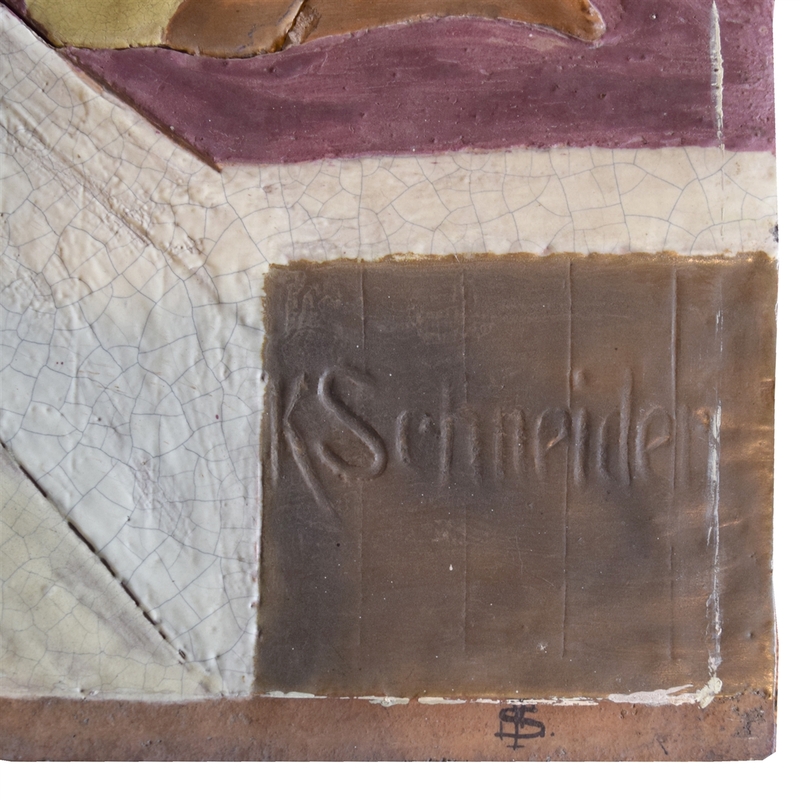 Signed K. Schneider. 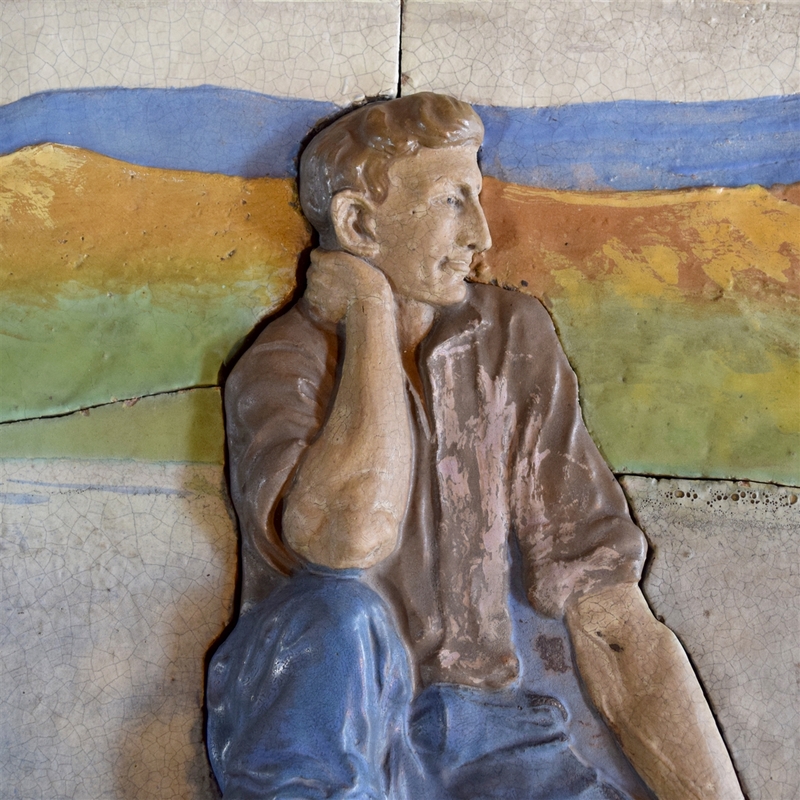 Kristian Schneider worked for Northwestern Terra Cotta Company and was the primary modeler for Louis Sullivan.